FREE app: Test your knowledge of the electrical code with our Electrical Code-A-Day app. Can you beat the Master? See how many of the 366 questions you can answer correctly! Electrical Code-A-Day has an electrical code question for each day in the year. Take a minute a day to answer a question, or answer as many as you can in one go. How you do it is up to you! This quiz app contains basic electrician questions written by a real electrician. 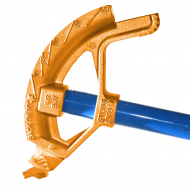 This app is for apprentices, journeymen, and masters. Whether you are learning the code or just need a refresher, this is the app for you. This app is FREE to download and to use. 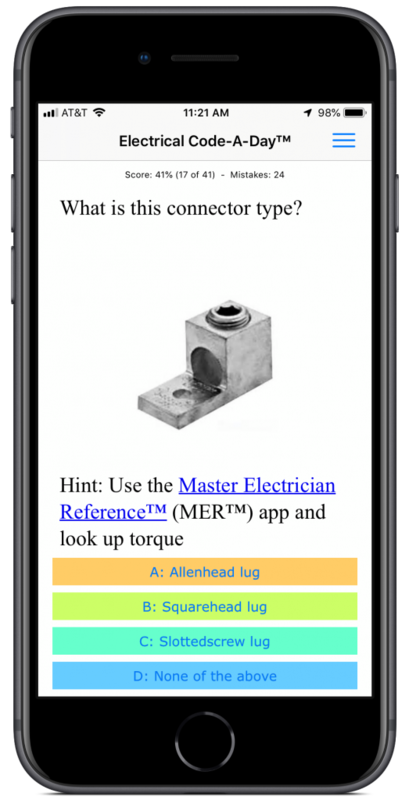 Many of the answers to the questions in Electrical Code-A-Day can be found using our Master Electrician Reference app. Sign up for our low volume newsletter and be notified of new products and releases.